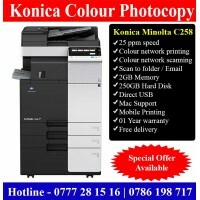 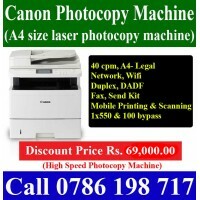 Canon MF 735cx Colour Laser Photocopy Machines sale in Colombo Sri Lanka. 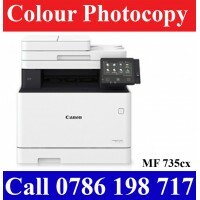 Canon MF 735cx Colour Lase..
Canon IR C3020 Colour photocopy Machines Sri-Lanka. 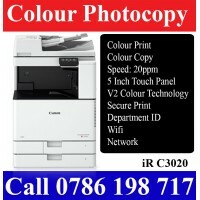 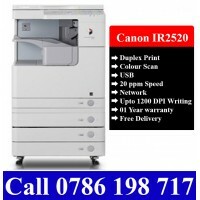 Canon IR C3020 A3 Colour Photocopy machines for ..
Canon iR C3020 Full Option Colour Photocopy Machines Sri Lanka. 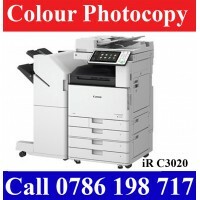 Canon IR C3020 full options colour p..
Canon IR2520 Photocopy Machines sale in Sri Lanka (Print, Scan, Photocopy, Network, USB, Duplex) Can..
Toshiba E-Studio 2303A Photocopy Machines Sale Sri Lanka. 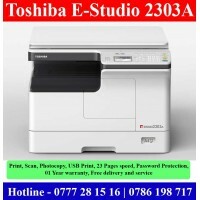 Discount Price Brand new Toshiba E-Studio ..
Toshiba E-Sudio 2309A Photocopy Machines sale Sri Lanka Price. 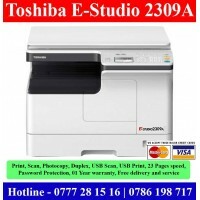 Toshiba E-Studio 2309 Photocopy machi..
Konica Minolta C258 Colour Photocopy Machines sale Colombo, Sri Lanka.Laser A3 colour photocopy mach..